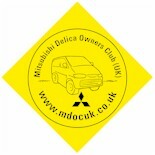 Mitsubishi Delica Owners Club UK™ :: View topic - Any D5 owners out there? Any D5 owners out there? Sorry, but can't really see any part numbers without removing things. Posted: Tue Oct 30, 2018 16:12 Post subject: Google Ads keep this community free to join! Posted: Thu Nov 08, 2018 11:56 Post subject: Re: Any D5 owners out there? The plan is to do one up as a simple camper with rock and roll bed, maybe with a small lift and bigger tyres. I know I'll sacrifice off road ability etc with the D5 but my main concern is parts and and the lack of UK based info out there. Hi I'm planning on a similar project but was hoping to fit an elevating roof... Anybody know if there's a decent one available for the D5? without appearing to hijack the thread, I'm also interested in any other D5 owners out there. I had a L400 for 10 years but finally got rid when the maintenance became increasingly more frequent and my time was limited. I replaced it with an LC3 landcruiser which has turned out to be a rust bucket (concealed with waxoil/underseal by the previous owners) for the last 2 years but I desperately miss the versatility and space the Delica offered and so have been drawn back to the forum. My main concern is fuel economy. I'm reading the diesel D5 is getting around 35mpg (average combined) and the petrol 23mpg. Can anyone confirm these numbers? There is nothing noble in being superior to ones fellow men, true nobility is being superior to ones former self. Afternoon - Just had a D5 imported from Japan, all sorted and registered. I don't think there are many of us out there just yet, but Mitsubishi are running one out of their head office in Cirencester. They often fight about who gets to use it ! Picked up our D5 import from Aberdeenshire. Not a L400 but totally delighted with it. Also wondering if there are any D5 owners using the forum. Can you tell me who you used to import. I've been looking at the car from japan website but it looks like it is just a central website managing numerous different import agents.